These are beautiful photographs of extraordinary homes in Iceland by Cindy Knoke. Laufas is an old turf house in Northern Iceland. 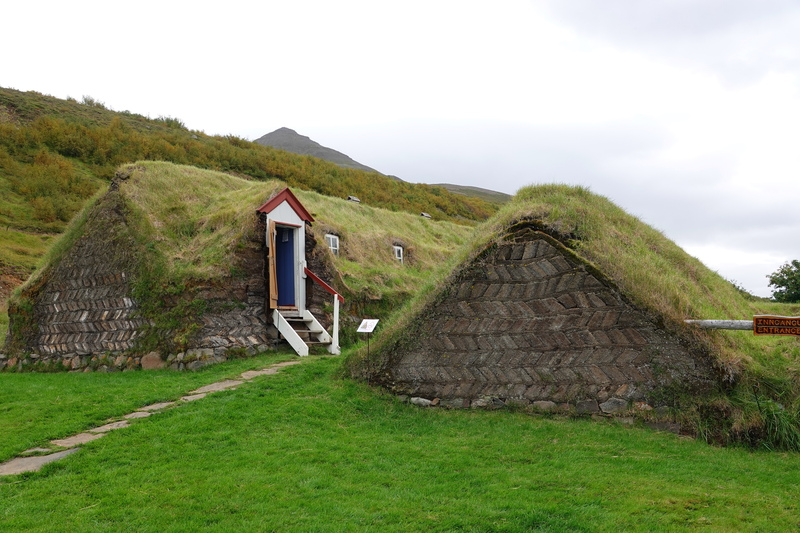 There are many of these partially underground historical sod houses in Iceland. The house was built between 1866-1870. The houses are very large and multi-level, with one floor completely underground. In this photo you can see the sod brick construction which has withstood the test of time and Iceland’s formidable winters. Unimaginably beautiful! Thanks for sharing…might get a bit dreary in winter, though! The thing that is so surprising to me is how forward thinking this architecture is. Iceland is one of the most climate hostile places in the world that has been, and is, occupied by humans. It has lots of earthquakes, volcanic eruptions, and avalanches, not even thinking of winds, winter temperatures and hostile seas. And yet these hand-built sod-homes survive the test of time? And they are so pleasant to be in? It seems like architectural genius. I think it is architectural genius! I’d love to see Iceland one day. Cindy has a way with the camera that turns everything she photographs into a work of art! Stunning. I have a particular reverence for these people who’s love of freedom and for the land, fought so hard to survive in this cold harsh environment. Yes, her work is excellent, and she captures the beauty of this world. It was a dream of mine to get to Iceland (I even took a course in Old Norse/Icelandic language and the sagas as part of my Honours degree), and I finally made it there in 2015. It’s a fascinating place and Cindy’s wonderful photos brought it all back for me. Thanks so much. Cindy’s posts are always good! Looks like a wonderful idea during the winter months. I’m wondering what they do for ventilation. Would be a great place to visit and explore. That is a very good question–about the ventilation, and I have no idea.